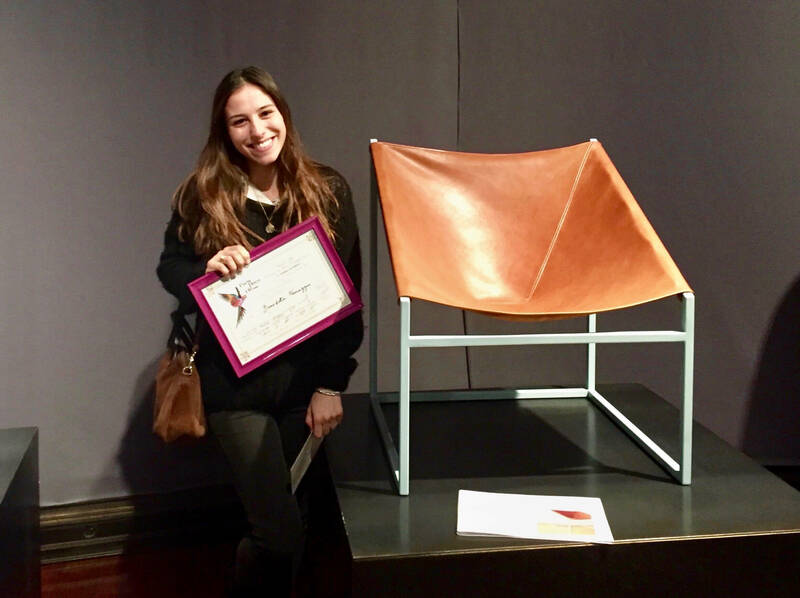 After the price of Laura Van Gerven for the creation of a “chameleon wall” in 2016, Benedetta Farruggio won the third place of the contest organised by Paris Déco off: “Paris Deco Off en état de siège”. The goal was to reinvent the seat, a seat in the broad sense, in all its forms (chair, stool, ottoman, armchair, sofa, chaise …), but also keeping up with the times, it is a multifunctional and modular seat. The competition was aimed at students from design and arts schools as well as young design professionals from around Europe.